As part of our continued growth and investment, Andrews Automation Ltd have relocated to The Grange Industrial Estate in the town of Goole in the East Riding of Yorkshire. We are ideally situated close to major road links such as the M62, M18, M1 and A1, and are just a 10 minute walk from Goole Rail Station. The 7000 square foot building has been completely transformed from what was previously a fixings and fasteners stockist, into a facility that allows us to design, manufacture and test all of our automation solutions in-house. The unit now incorporates a goods inwards area and stores facility, as well as an electrical workshop for in-house PLC panel builds. The size of the unit enables us to build conveyor systems and test them, allowing us to iron out hitches and glitches before delivery to site. This in turn means systems can be installed on-site with the minimum of fuss and greatly reduce customer downtime. We also have meeting room facilities allowing us to meet with customers to discuss projects, finalise system requirements, and negotiate purchasing strategies with suppliers to help us offer our customers a truly competitive quotation. Our customers can also make site visits to check on the progress of their projects and discuss potential changes or additions to their system build that were possibly not considered previously. 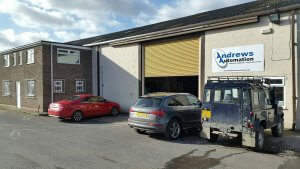 “These are exciting times for Andrews Automation Ltd! On the back of a number of recent successful tenders to supply large blue chip companies, the management have invested heavily in the company over the last 6 months, with both new personnel and new premises having been sourced. These business strategies have now positioned us superbly to offer customers automation solutions designed, built and tested in-house. We can now offer anything from a basic conveyor requirement, to a complete turnkey solution, from one, single source. Automation – What are the benefits? 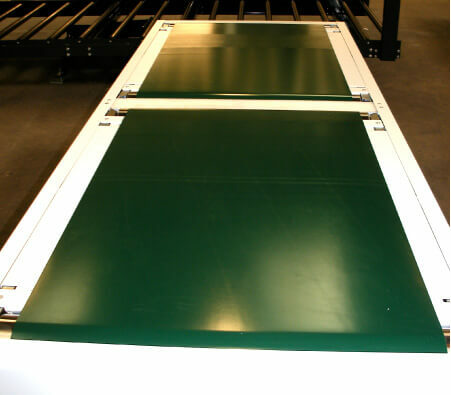 Why choose a Belt Conveyor System?